(CNN) — Former presidential candidate Ralph Nader had some biting words about Rand Paul, saying the self-described “libertarian-ish” lawmaker is retreating from his roots as he broadens his appeal for a potential presidential bid. “What he ought to do is go back to his father, sit on his knee and become more like Ron Paul,” Nader said in a new video published Monday. Nader, a liberal consumer advocate who espouses left-libertarian views, ran for president as the Green Party nominee in 2000 and as an independent candidate in 2004 and 2008 and as a write-in candidate in 1992 and 1996. Nader’s comments came in an interview with Luke Rudkowski, an activist who’s known for confronting high-profile political figures and whose goal is to “expose corruption worldwide,” according to his website. The senator’s office had no comment on Nader’s remarks. 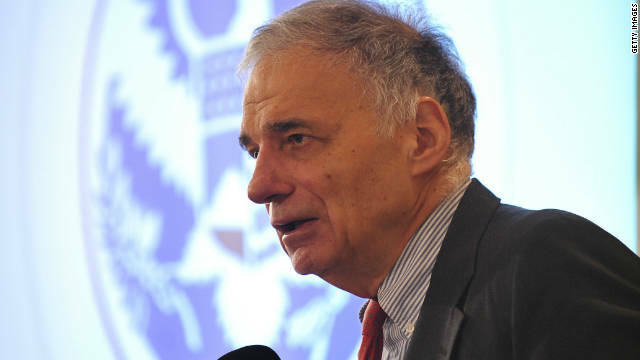 Nader argued that Paul wants to give more aid to Israel, a reference to the first-term senator’s policy on foreign aid that came under question this year. Paul, however, maintains that he hasn’t changed his position on aid to Israel and would still like to see an eventual end of U.S. assistance to the country. Nader has been pushing the idea of a left-right alliance and earlier this year said he could envision Paul as a possible leader of the movement, but still expressed skepticism of what he called his “evolving” views. As Paul broadens his appeal among Republicans and even Democrats, he has attracted closer scrutiny of his views and issues on which he agrees or disagrees with his father, a former congressman and presidential candidate who ran as a Libertarian in 1988 and as a Republican in 2008 and 2012. While Rand Paul has long sought to distinguish himself from his father’s political brand, his own star has in part benefited from his father’s fame as well as the grassroots support he generated in key early presidential primary states. 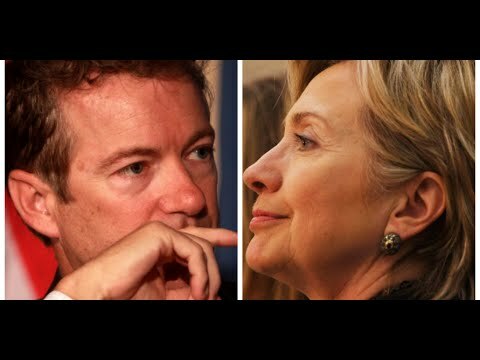 If Paul wins the GOP presidential nomination in 2016, the Libertarian Party could also nominate him in an effort to avoid a spoiler situation in a close general election race. A new report Tuesday by U.S. News shows that leaders and constituencies in the Libertarian Party are already gearing up for an internal debate over the scenario. NextEx-CBS reporter: Government agency bugged my computer. A former CBS News reporter who quit the network over claims it kills stories that put President Obama in a bad light says she was spied on by a “government-related entity” that planted classified documents on her computer.